Our commitment to cultivating the best environment for foundational learning and growth is witnessed everyday in our students and alumni. Our classrooms, school activities, and programs all provide an education that fosters intellectual curiosity, empathy towards others, and confidence in self. These values are reinforced by our tight-knit network of teachers, parents, faculty, and students, who continually model the support needed for students to take risks and explore their own potential. As students matriculate, we see well-rounded leaders who have the cultural competency, skills, and character that will help them thrive in our modern society. 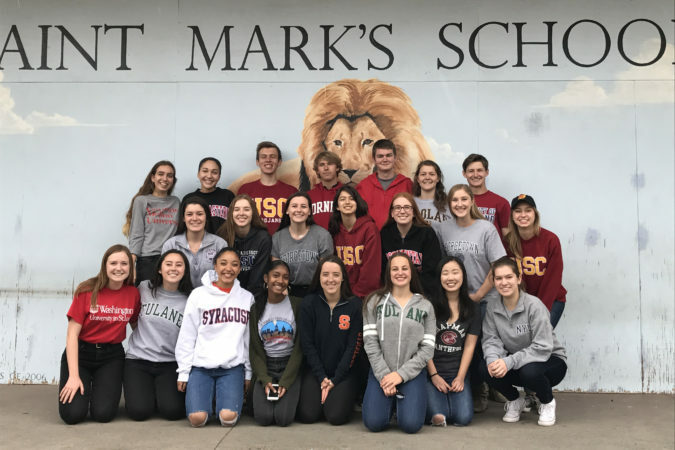 We are proud that, by cultivating an intentional learning environment at Saint Mark’s, we are raising up confident and compassionate individuals who are creating meaningful impact in their families, communities, and world. We partner with families throughout the middle school placement process, which can bring about a range of emotions for parents and students. The Head of School, along with the Upper School Head and members of the faculty, actively work with parents and students throughout the placement process to optimize choice and the best fit for each child. Our primary goal is to find the right match for the student to maintain their academic success. The bonds that students make during their time at Saint Mark’s last well beyond elementary school. We invited all former students, whether they graduated from the school or left before 6th grade, to be involved with Saint Mark’s as alumni. We host alumni events during the year, invite alumni back to campus to speak to current students, and are here to support alumni throughout their academic and professional careers. We love hearing about all the exciting things are alumni doing around the world. Email news of accomplishments, adventures, milestones, or other achievements of Saint Mark’s alumni to alumni@saint-marks.org. Also, be sure to send us contact information updates, so we can stay connected. You can find us online: Facebook Alumni Page and Instagram. I remember clearly sitting on stage where you all are now…. All of us shared an uncertainty over what the future would look like. We also shared a strong foundation thanks to this incredible Saint Mark’s community. We may not have fully realized it yet, but with an education that had shown us the values of diversity, empathy, ambition, and adventurousness, we had everything we needed to appreciate life as a beautiful adventure and to forge vibrant and selfless paths for ourselves. 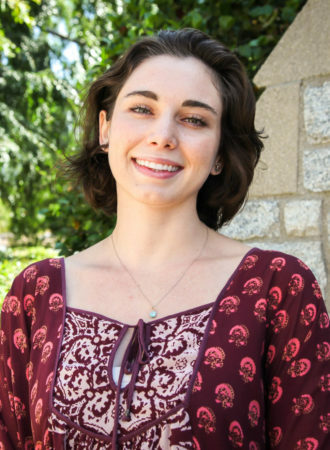 I just finished my undergraduate degree at Tulane University in New Orleans and in just over a week I will be getting on a plane with a backpack, some nervousness, and a whole lot of excitement as I prepare to travel to Cuba, Guatemala, El Salvador, and Belize before moving to Mexico this September. I don’t know where I will be living once in Mexico and I don’t know who I will meet along my journey. What I do know is I’m very lucky to be on this adventure. I know that I will often be pushed outside my comfort zone. I am certain I will expand my sense of “family” and “community”, and more than anything else, I am sure I will grow so SO much. When I reflect on what brought me here, I cannot ignore the significant role Saint Mark’s played in preparing me for the path I am on. You already have the tools and resources you need not just to achieve your dreams but to seek out opportunities you may not yet even be able to imagine. Just trust yourself, and celebrate. Excerpt from Jaclyn Cole (Class of 2007) graduation speech in 2017.